Prominent & Leading Service Provider from New Delhi, we offer dynamic balancing engineers, dynamic balancing of fans, ultrasonic testing services, thermography services, magnetic particle inspection and horizontal balancing services. Unbalance is measured and reported in two ways. One is a measure of the effect of the vibration and the other is a measure of the heavy spot. The vibration measure is used in fieldwork and embodies the speed characteristics of centrifugal force effects. In field balancing, rotors run at their own operating speed, with minimum disassembly. A basic requirement in place balancing is that the rotor has to be accessible to make corrections. The cost and time to dismantle the machine are saved. 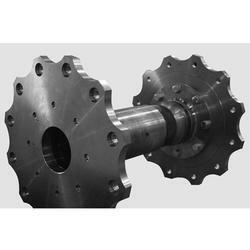 The possibility of damage to the rotor in dismantling and carrying it to balancing station is eliminated. The vibration level measured at the 1*rpm is used as an indicator of the amount of unbalance. The location is determined by measuring the phase. Phase is measured by an indicator in the instrument, triggered by a photocell. 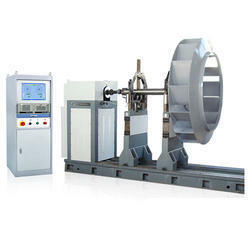 The possibility of damage to the rotor in dismantling and carrying it to balancing station is eliminated. The effects of temperature, pressure, distortion and other environmental influences can be incorporated. The vibration level measured at the 1*rpm is used as an indicator of the amount of unbalance. The location is determined by measuring the phase. Phase is measured by an indicator in the instrument, triggered by a photocell. Supported by experienced professionals, we are engaged in offering Ultrasonic Testing Services. The ultrasonic testing service we are offering is based on the pulse-echo method in which sound pulse coming from the transmitter is radiated in a beam through a given medium at a specific speed or velocity. Radiated in a predictable direction and after encountering with boundary these sound pulses reflect back. 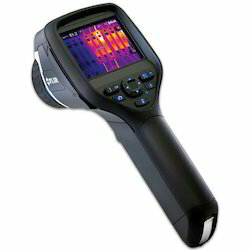 With an objective to fulfill the diversified needs of the customers, we also provide services for Thermography Services. Offered service is rendered by experienced professionals, which is the recommendation for the thermogram. While rendering these services, our professionals strictly follow international standards and guidelines. 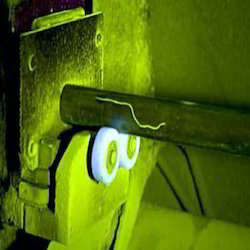 With the thorough knowledge of the industry, we are engaged in offering services for Magnetic Particle Inspection. 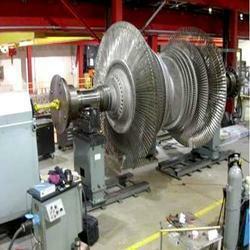 Our professionals utilize advanced machines a follow industry guidelines while rendering these services. Offered service is based on non-destructive methods which are used for the detection of surface and sub-surface defects in the ferrous material. In order to maintain higher standards, a team of experts keeps vigil at every stage. Looking for Dynamic Balancing Services ?